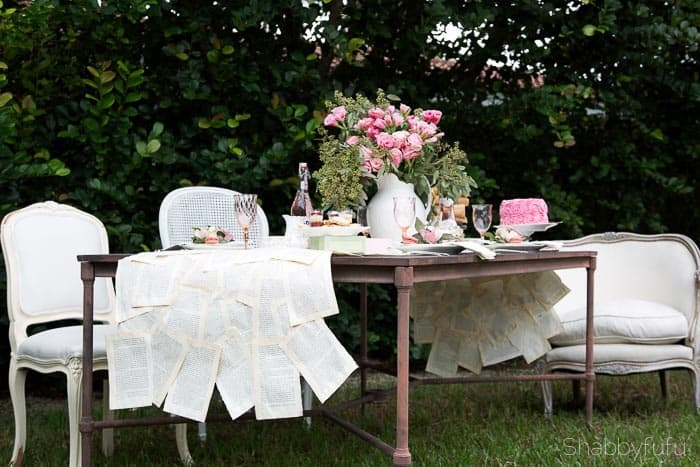 This book page project is pure fun and great for your book club gatherings! Call me old fashioned, but I love a good book in hand, on the nightstand or sitting on my coffee table. I do have an iPad but I’m just not one who enjoys reading that way. Maybe it’s because my very first job as a teen was at a library and it gave me that love of vintage pages of well worn reads and the musty aroma. I have never been in a book club, although I have been invited to a couple of them in the neighborhood. Several reasons why, but mostly because the ladies around here meet in the evening and frankly I’d rather be home then with my husband and the dogs at this point. But I do love to entertain and I’m sharing shots that I took for a magazine assignment awhile back that I thought you’d enjoy. 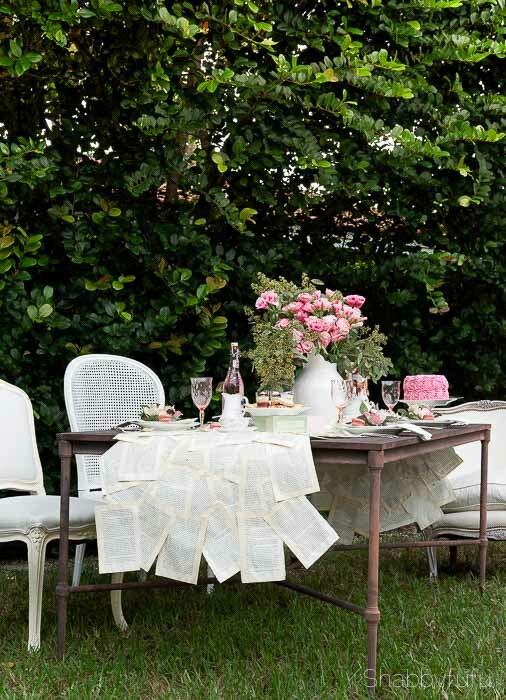 A book club soiree is a fun way to get friends together and have some discussion over appetizers, drinks, or lunch. 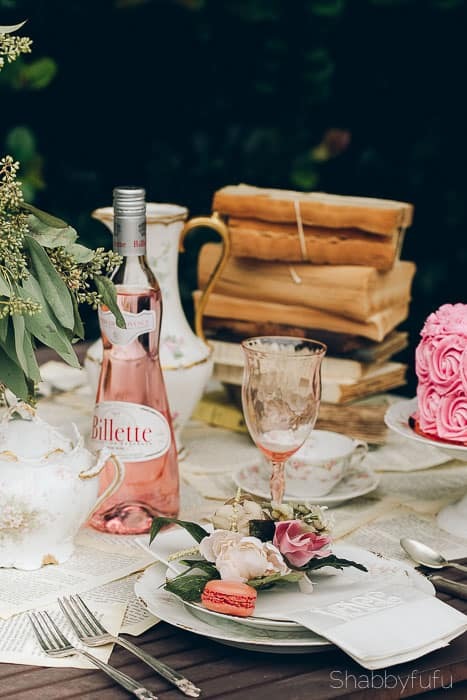 Most book clubs select a book several weeks in advance to read based on suggestions from the group. Sometimes the books have talking points or questions for discussion in the back, and those are helpful for the group chat. 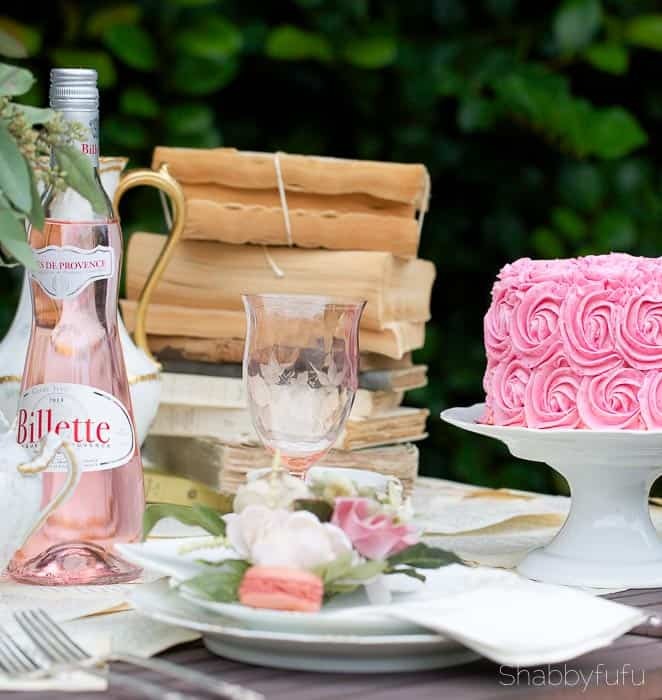 This book club themed brunch had a vintage theme and the table was styled with tattered old books and finger foods that appeal to the girlfriends. 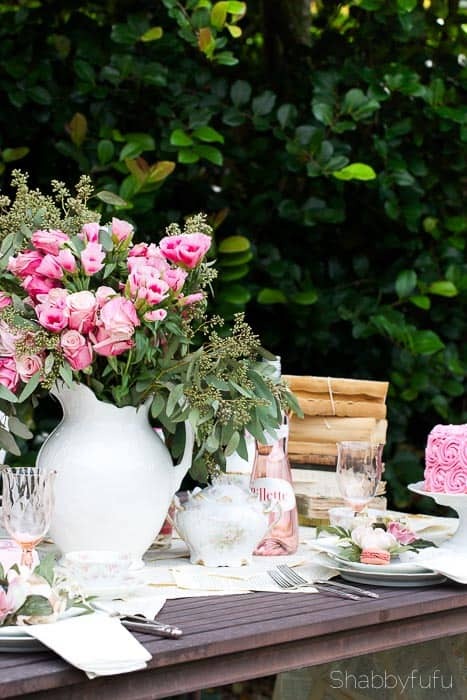 A big bouquet of pink roses and other florals and eucalyptus helped me to decide to bring out the pink in the setting some more. 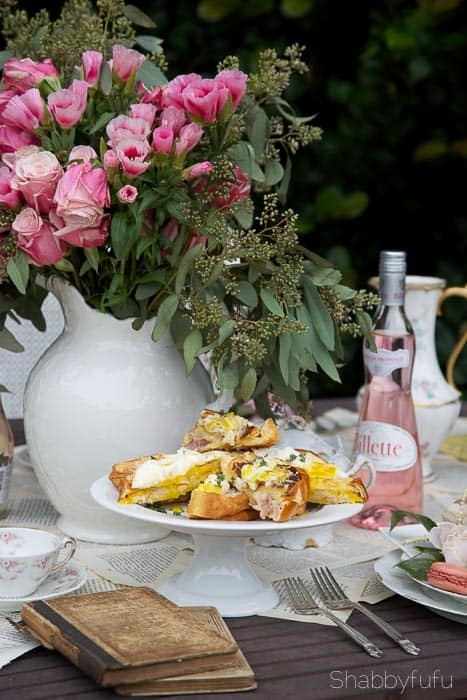 French pastries, a simple bakery store pink frosted cake and coffee and outside in the garden is always a welcome place to gather. 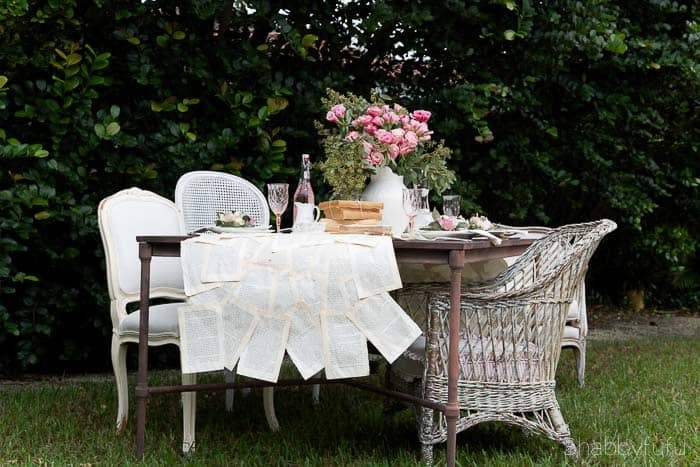 I love to bring my indoor chairs outside and mix things up and since they are all vintage French pieces it gave me the inspiration for the book page runner that I made in just an hour. Here are the easy, peasy steps. Grab a couple of useless old dated books (I used old travel guides) and stain them with coffee. I talked about my own method of How To Make A New Book Look Old and if you haven’t read that post yet go over and see my tips. Once your book is dyed and dried start tearing out the pages carefully. I have found that they will usually pull off the spine in batches of say 20 pages at a time. Find an empty flat work surface and get started by using a glue gun and gluing corners of the pages to each-other at angles for interest. I went 5 pages wide for this runner, so decide in advance how wide you’d like your’s to be and just have fun with the process! You could also hand paint your pages in watered down craft paint being careful not to get them too wet to keep from ripping. 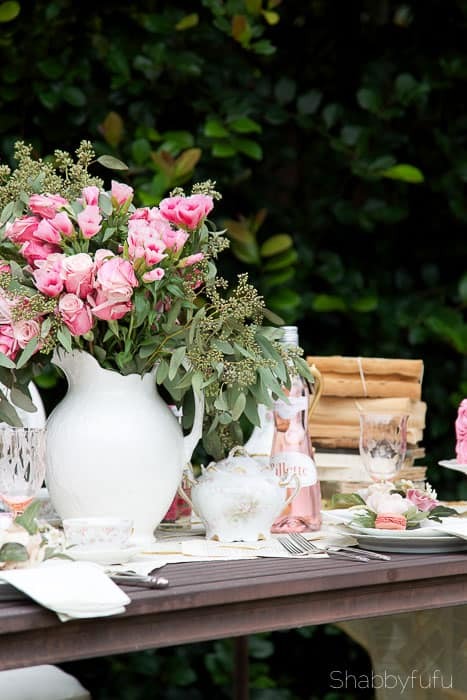 Just think of a runner in pale blush pink and how pretty that would be! I’ve took some of my coffee dyed books and wrapped them in bunches and tied with white baker’s twine and piled them up for height. 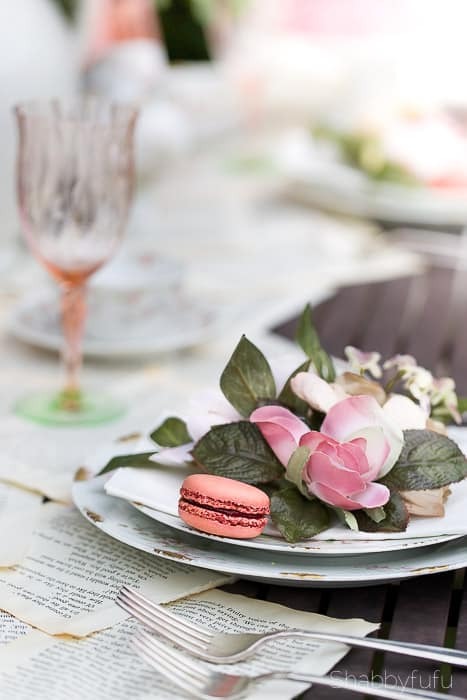 An overcast day in the garden brightened up by cake and macarons with vintage china and good chatter. 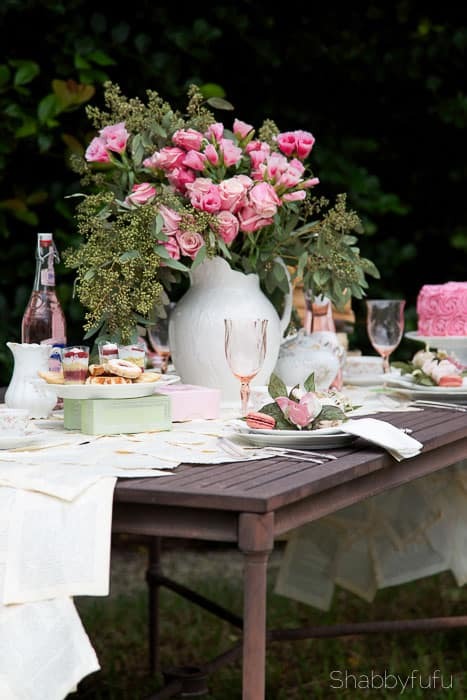 Visually appealing tables just make everything taste better and the conversation flow along with wine. I LOVE this idea! 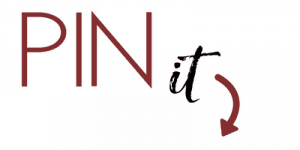 You gave me a fabulous idea for an upcoming event I am involved in! Whoopee I needed something unique! 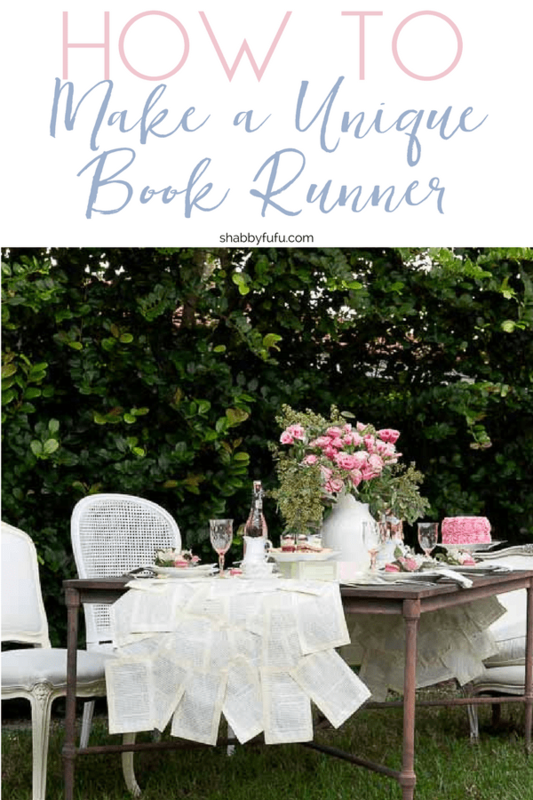 I have done book page things before but never thought of a runner! You are the bomb! Very cool idea! I would never have thought of that!